That means a lens that's sharp, and that is fairly wide angle to capture those grand vistas. Perhaps a zoom that goes from 28mm* out to somewhere around 80-100mm for informal portraits. Tho I could certainly go with a wide-angle prime lens and be perfectly happy. Ideally this would be a "fast" lens meaning it can shoot in lower levels of light without boosting ISO. It also means a camera that can capture images in RAW format. A RAW file is sometimes referred to as a digital negative because they are not usable as is, but contains all the data from the image sensor used to make usable images. Most consumer cameras convert the raw data to a JPEG, then delete the raw data to conserve storage space. By saving the RAW data, more information is saved than when saved in the "lossy" JPEG format, and higher quality images can be produced at a computer using software like Photoshop. The photographer gets fine control over color space, brightness and contrast, sharpening, noise reduction, white balance, and the final format in which the usable image is saved. Most cameras that can save the RAW format, can also be set to save both the RAW, and an immediately usable JPEG. And, the bigger the sensor the better - Not as measured in megapixels, but in physical size. Larger sensors provide higher signal to noise ratios, wider dynamic range, and shallower depth of field for a given lens focal length/aperture. Packing too many pixels into a given image sensor format requires smaller pixels which degrades low light performance, and creates other image-degrading issues. The move to produce cameras with higher and higher MP counts is being driven by marketers who know that higher MP counts means more sales. Consider that every manufacturer's high-end compact employs slightly larger, 10-12 MP sensors. Finally, it needs to be light. 'Cause the ounces add up when one's carrying a full pack for 8-12 hours a day. This is one of experienced backpacker's over-driving concerns. Folks give up comfy tents for simple tarps, carry nothing that's not needed, cut their toothbrushes in half, and trim excess webbing off their packs to reduce pack weight. Certainly, with my 50-something year old knees, I need to take a cue from these folks. I have cameras. Besides some great, old film cameras, I have a Nikon D70 DLSR whose technology is getting a little long in the tooth, but whose real problem is that it weighs over two pounds. And I have a Panasonic Lumix DMC-TZ5, which is a nice compact camera, but it lacks RAW capture and suffers a tiny sensor. So, you see? I need a new camera! Looking for a camera with a fast lens and a big sensor, that is both small, light and not too expensive, is like a grail quest. Larger sensors and fast lenses occupy bigger, heavier housings, and trying to squeeze all that in a lightweight package requires some degree of compromise. Regrettably, I found that none of the waterproof/ impact resistant cameras met my requirements as none provided for RAW capture. 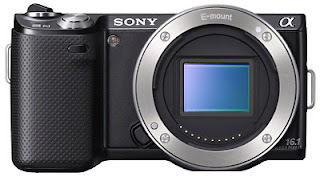 I quickly narrowed my search to a few categories of cameras - The "Enthusiast Compacts," the "Micro Four Thirds," and "Mirrorless" cameras sporting APS-C-sized sensors. Enthusiast compacts are like other point and shoot cameras, only with better lenses, more control over exposure, and most allow RAW capture. With 10 mp sensors, sized slightly bigger than other point n shoots at ~1/1.6", and with better image processing engines, they produce very good imagery. Choosing one of these is a big step up from most compacts. They weigh under 10 ozs, and are small enough to slip into one's pant pocket or the pocket on a pack's hip belt. Still, they cannot match the image quality of the heavier EVIL cameras. The Panasonic LX5, Canon S95, Olympus XZ1, and the soon-to-be-released Fujuifilm X10 are high-end compacts that fit my requirements. The Panasonic has the widest angle lens at 24mm; the Canon is the smallest and lightest at 6.8 ozs; The Olympus has the fastest lens; and the Fujifilm has the biggest sensor, along with an optical viewfinder, some very cool retro styling, and a weight penalty of 12.3 ozs. Tho, to be fair, the X-10 is not really pocketable, and really fits in the same "Luxury Compact" class of camera as the Canon G12 and Nikon P7000. Micro Four Thirds are mirrorless cameras, named after their sensor size, which is considerably larger than compacts but smaller than DSLRs, and they have interchangable lenses. While they offer a lot of control over imagery, the latest versions have targeted compact users with fewer direct controls, and greater use of touch screen technology. Panasonic's DMC-GF3, and Olympus' Pen series fill the bill here. 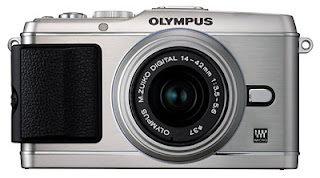 The newly released Olympus E-P3 is their top of the line. It has classic good looks, captures excellent imagery, weighs 11 ozs before you put on a lens, and costs $900. Oly also has a new E-PM1, which is a much smaller camera that weighs 9.3 ozs (w/o lens). and costs $500. Panasonic's DMC-GF3 sports a new sensor that leapfrogs Oly in terms of image quality, and weighs 11.3 ozs. 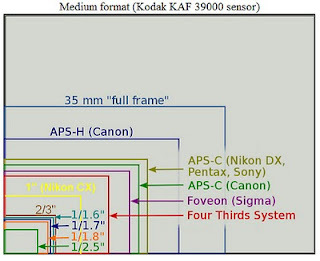 Mirrorless cameras with APS-C sensors, are made by Fujifilm, Leica, Samsung and Sony. 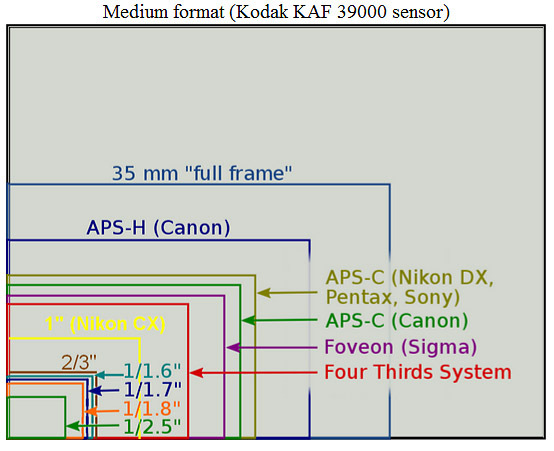 The APS-C sensor is considerably larger than those in the aforementioned cameras, and are used in many DSLRs. With their high-quality lenses, their image quality is superb. They offer the kinds of control over exposure enthusiasts want, weigh half the weight of DLSRs, and twice as much as compacts. Their prices tend to be spendy. 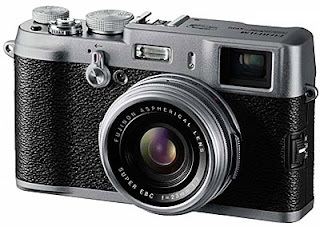 The Fujifilm X100, with its classic rangefinder styling, is the most retro-cool camera in the lineup. It has an optimized, non-interchangeable, 23mm lens (135 equivalent of 35mm), weighs 15.7 ozs, and costs ~$1390. It is known for outstanding image quality, an excellent optical/EV hybrid viewfinder, and a sometimes frustrating, quirky interface. Samsung's soon-to-be released NX200 is an upgrade from their NX100, and is designed for the professional photographer. It has a 23mp APS-C sensor, weighs 7.8 ozs w/o lens, has a full compliment of lenses available for it, and costs $899 with a 18-55mm lens. Sony's soon-to-be released NEX-7 manages to pack a big, 24mp, APS-C sensor into a small package, offers lots of direct controls to make enthusiasts happy, and it also has several lenses available for it. It weighs 17 ozs and costs $1359 with an 18-59mm lens. Their just released NEX-5N - an upgrade to the original NEX-5, also sports the APS-C sensor. Now packing 16 mp, which some ancedental evidence suggests provides better high ISO performance than the NEX-7 with its 24mp sensor. It weighs 16.3 ozs with its 18-55 kit lens, and the charger is another 3 ozs ... It lacks the built-in electronic viewfinder, and the direct controls of the NEX-7 and the X-100. But it's smaller, lighter, costs half the amount when sold with the kit lens, and provides comparable, if not better image quality. It has an issue with a clicking noise during video recording that needs to be resolved. Decisions, decisions ... A very rational choice for the lightweight backpacker, who happens to be a photo geek, is the Canon S95 or the soon-to-be-released upgrade, the S100. 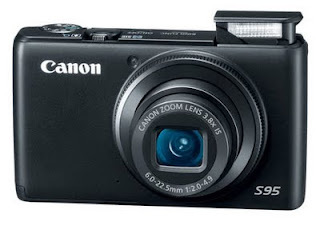 It produces very good imagery, weighs 6.8 ozs, would easily fit in a pants pocket or in a pack's hipbelt pocket. The Fujifilm X-10 will be released in a couple of months, and will be worth a close look. The new APS-C cameras look like they might best meet the requirements of one who demands more creative control, and DLSR-like image quality - and is willing to accept a significant weight penalty. The micro four thirds cameras occupy a space between the compacts and the APS-C, but I feel the APS-C cameras have surpassed them in my subjective image quality to weight analysis. I narrowed my selection down to the Sony NEX-5n, and the Fujifilm X-100. I thought the NEX-5n with their soon-to-be released Carl Zeiss 24mm f/1.8 Lens would be a sweet, if expensive combination. 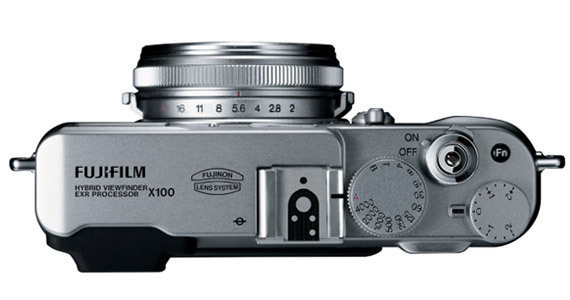 The Fujifim X-100 is smaller, lighter, and cheaper than the NEX-5n with the 24mm. It has it's quirks, creates superb imagery and works fine for my style of shooting. * All focal lengths expressed as 35 mm equivalents. Thanks Tim. I am working hard to save on the basics. I have my base weight down to about 18 lbs, and I'm still working it. To me a camera is not a luxury item. 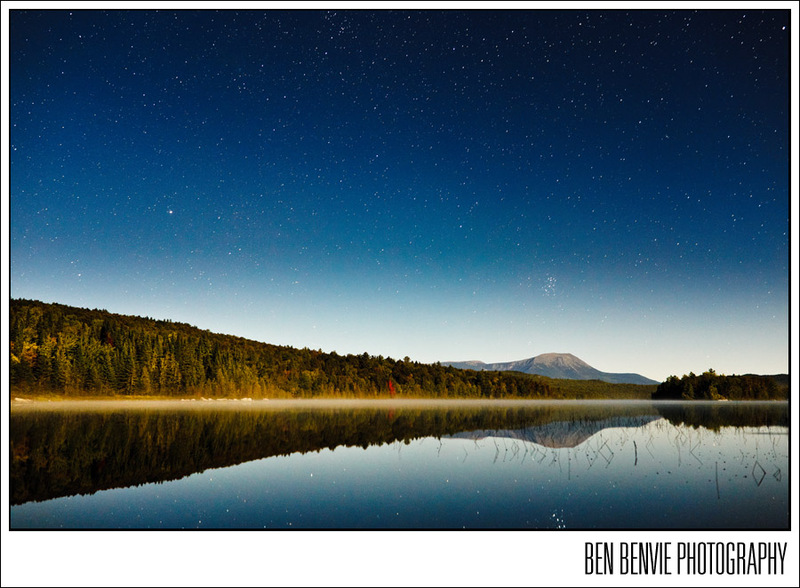 I'm a photographer, and I just could not embark on an adventure like this without a camera that would help me to try and capture the essence of the trail and provide image quality that could be printed to a reasonable size for display. I have participated in many of the Whiteblaze camera threads. Here I am exploring the compromises between DSLR quality, and compact weight. 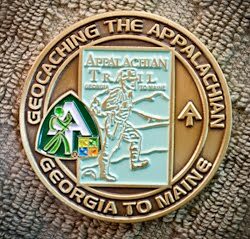 What is right for me, and what meets my requirements is a mirrorless APS camera, and I've since ordered an X-100 to take on this hike. What's right for me is not necessarily what's right for a whole lot of people. I think the camera in a Droid or iPhone, or a Canon S95 is a perfect solution for many people for the very reasons you cited. 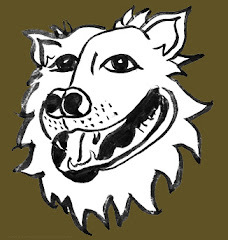 Thanks for your comments and for visiting our blog. Good post Bill, I'm in a very similar dilemma. I like your research, seems you're on a good path to finding the ideal backpacking camera. I also wouldn't consider a camera a "luxury" item, not when half the reason for the trip is the photos. I'm trying to peel away any true luxuries, so that I can get away with a DSLR. We'll see though. Did you decide which camera would be best for you? I did. I picked up a Fuji X100. Very nice, if a bit quirky. One owner described it as a spoiled child. They sometimes don't do what you want them to do, but I'd kill anyone who tried to take it away from me! I really think it'll be a great camera to document the trail. Great read. I did some research and soul searching a few weeks back and decided on a Nikon Coolpix AW100. I wanted to take pictures in the rain, and I love my Canon Rebel XS but thought if I had to carry it to Maine I might accidentally drop it somewhere in a fit of anger. I am still working on charging options. Did you discover anything in your research that would help in that respect? Looks like a great choice. I like that the lens goes from pretty wide to a short tele. And, of course, you won't have to baby it. My total charging system is a @#$%^&*! pound. I can trim a few ounces from it, but I'm gonna pay for what I want to do. Good luck! Hope to see you out there. Bill, I really appreciate your hard work and research. I hope you get to realize your dream on your SOBO trip. I was wondering if you had any hands on experience with the Oly PEN E-PL1 camera and lenses? I don't. But the Oly Pens were definitely on my list. I think they are great upgrades from consumer cameras - Still very compact, but offering the advantages of a much larger sensor. This is a great post, very helpful. How are you liking the camera now that you're out on the trail? I love the camera. Even with the latest update, focus remains an issue, but I've been able to work around it. The biggest issue seems to be that it is apparently not as well sealed as the pro cameras I'm used to. A fellow X100 owner/AT hiker had a problem with his camera, sent it in, and Fuji did not want to honor his warrantee because it was full of dirt and dust. The image quality is amazing, and I plan to make the X100 work even if I have to carry it in a case to protect it from dust and sweat. Howsomever, If I was making a new purchase decision today, the new Fuji X-E1, and the even spendier Sony RX1 would be very tempting.